Maplewood Richmond Heights Middle School has received a $14,000 grant for its tree climbing program. The program is a part of the school’s science curriculum and Adventure Club and helps students understand sustainability, nature and community. The funds will be used to buy equipment and provide more staff members with training to become certified tree climbers. 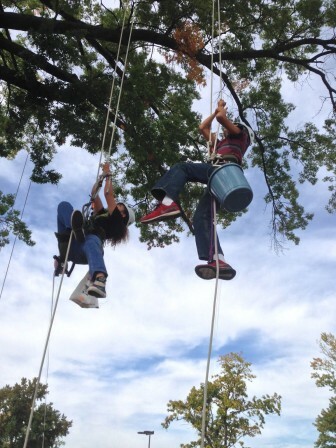 MRH Middle School students take off toward the top of the tree as part of the school’s tree climbing program. Four years ago, the middle school began working with Guy Mott, an adventure educator with a Master of Education in Adventure Learning and certified arborist, to help students become interested in trees. Since then, the program has steadily gained popularity and is part of the seventh- and eighth-grade science curriculum. As well as teaching students about trees, climbing and roping techniques, they also learn about the safety gear and equipment. “This program deepens learning and reinforces different science concepts,” said Michael Dittrich, principal at MRH Middle School. While climbing, students conduct biology and physics experiments. Since this is the only tree on the MRH Middle School campus, it is a significant part of the learning landscape. The Wirick boys planted the tree that students now use to learn about nature and sustainability. The tree is not only special for what it provides, but also for its historic connection to the community. 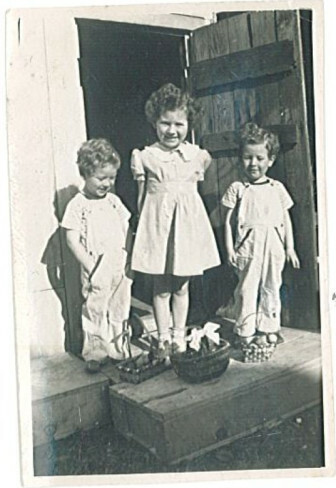 In the mid 1940’s, Jimmy and John Wirick brought home two trees that were given out at the annual Arbor Day recognition at Maplewood Schools. They planted the trees in their back yard. Although one tree did not survive and the home has since been removed, the other tree remains and is the centerpiece for the school’s climbing program. It also happens that the Wiricks’ niece works for MRH schools and continues to live in Maplewood. “A tree they planted nearly 70 years ago creates opportunity for kids today,” said Dittrich. That red oak now towers 50 feet over the school grounds and not only brings the classroom outside, but also serves as a reminder to the importance of community, sustainability and legacy. Principal Michael Dittrich, Assistant Principal Dan Reeve and science teachers, Bill Henske and Scott McClintock, all had a hand in writing the grant. Dittrich is thankful for the help that YouthBridge provided in connecting the school with the donor as well as to REI and Climb So iLL for their support by way of discounts on equipment and training. YouthBridge Community Foundation is a 501(c)(3) organization dedicated to building strong, vibrant communities by bridging the resources of generous donors with the needs of worthy nonprofit organizations. With a heritage rooted in children and youth causes dating back to 1877, our philanthropy advisors consult today on a wide range of charitable giving solutions. Based in St. Louis, MO, we offer specialized expertise and philanthropic management services to donors, nonprofits, advisors and businesses nationwide.